Fifty-four emerging leaders in the transportation design and construction industry took part in an intensive “boot camp” introduction to the federal legislative and regulatory processes this week, then descended on Capitol Hill to press their members of Congress to fix the Highway Trust Fund (HTF) and pass a long-term surface transportation bill. 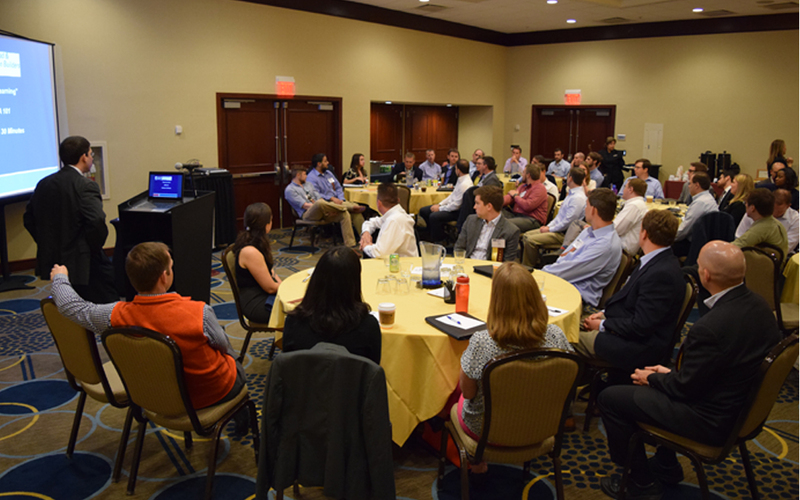 They were in Washington April 13-15 as part of the ARTBA Transportation Development Foundation’s (ARTBA-TDF) 20th Annual Young Executive Development Program (YEDP). The 2015 class marks the second largest ever in the program’s history. YEDP fellows represented 22 states and Canada. The YEDP sessions focused on federal highway program funding, grassroots advocacy, future challenges facing the nation’s infrastructure, P3s, and professional development. Senior ARTBA staff provided an overview of the association’s role in shaping federal transportation policies and regulations. Participants also heard the perspectives of U.S. Secretary of Transportation Anthony Foxx, House Transportation & Infrastructure Committee Chairman Bill Shuster (R-Pa.), T&I Committee Member Rep. Reid Ribble (R-Wis.), and Rep. Earl Blumenauer (D-Ore.) about the HTF crisis and reauthorizing the federal surface transportation program.